As the celebrity chef cannot make each kitchen festival a success himself, allbranded supports delicious cooking and barbecue events with personalised employee and customer gifts. This is what we serve, tailored offers for emotional promotional Jamie Oliver products with you individual logo print. Just select the perfect promotional item in our online shop and configure it or get some phone advise from our team. With such a trendy Jamie Oliver gift, you say thank-you in a very special way and will certainly be remembered by the recipient. With the portable precious Stable Grill by Jamie Oliver, you can have fun grilling in an exclusive design. A removable expander ring protecting the food from the wind and the ventilation system ensure optimum air supply. And we place the logo of your company clearly visible on the grill. Successful companies face the challenge to increase awareness for their brand among their target group. With more than 6,000 advertising contacts (per day per person), this is not an easy task. Especially as only 3 will still be remembered after 24 hours, according to a study by the Institute for Marketing and Communication (DE). This is where allbranded and the new Jamie Oliver promotional product collection come into play! Your goal is to get out of the mass and engage in individual communication with the customer or business partner. The chance: 95 percent of all advertising contact take place when the recipient is not in the right emotional state – but either stressed, annoyed or exhausted. No problem for you, because you counter with allbranded and our new, customisable Jamie Oliver promotional products – for customers, employees or business partners. The goal: positive conditioning, meaning conscious and unconscious communication through unique and original promotional gifts with high value for everyday life. They do not disappear in the back of the cupboard with other random giveaways. Your advertising item, with company logo, is trendy and therefore stays in the kitchen – the place where the best parties happen. Saturday evening. An intriguing small of fresh food, friends laugh and share a good glass of wine. The mood is relaxed, the body released endorphins – we are happy. Neither posters, nor TV advertising or a newspaper ad can now reach your customer – but your advertising! 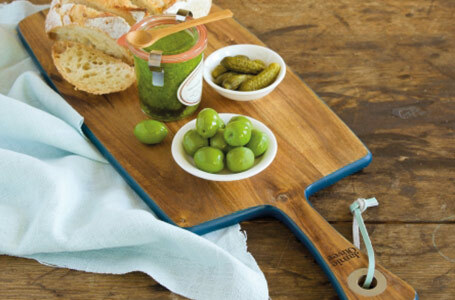 With affordable promotional products that carry your company logo, right from Jamie Oliver’s kitchen. For example, with a glass of water that accompanies the wine. From the Jamie Oliver carafe into the Jamie Oliver glass, delivered as a high quality Jamie Oliver gift set with 100% recycling glass – so that your individual promotional message directly goes from the throat to the heart of the customer. The steak is sizzling on the grill – thanks to branded grilling tongs and valuable printed knives of Jamie Oliver, you are right in the middle of it. The chilled cooling box with integrated bottle opener in retro style, next to the garden grill, carries cool drinks inside and your logo on the outside – you are the perfect fit for a good night’s memory! Your advantage: People subconsciously learn through emotions and symbols. 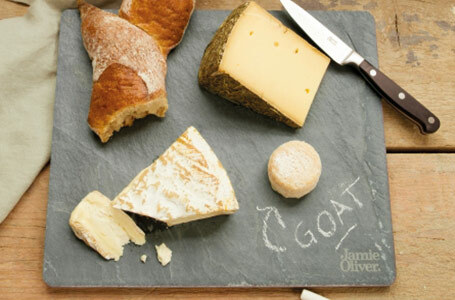 With allbranded promotional products from the Jamie Oliver collection, you start exactly there – successfully! The haptic experience is essential for the emotional connection between promotional messages and emotions, as neuromarketing studies have shown. A concrete result from the research: Wine served in high-quality glasses is judged to be better and tastier. Therefore, our online shop only offers first-class and high quality Jamie Oliver products that allbranded finishes with your company logo. We want to communicate your promotional message as effectively and originally as possible. This is essential to ensure that the positive perception using the promotional gift is also transferred to your brand. Our extensive consultation ensures that you will not stumble on the way to your customer – via live chat, our homepage or personally on the phone. As individual our customers are, as individual are their wishes, and we are perfectly prepared for you. Finding solutions is part of our job that allbranded is happy to do for you. This also includes a customised offer for the promotional products in the collection of star chef Jamie Oliver that will put your company in the limelight. Thanks to the intuitive configuration of your promotional product in our shop as well as perfectly transparent prices, you can be looking forward to a pleasant shopping experience with allbranded. 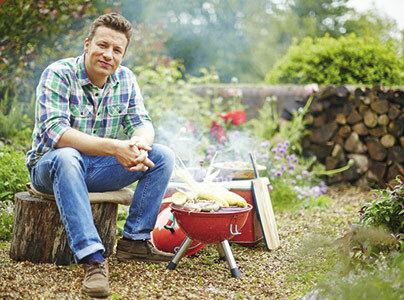 No matter what kind of Jamie Oliver cookware you are looking for – Jamie Oliver mugs, barbecue tongs, steak knives or a cooling box – the promotional items can be conveniently ordered in our online shop. Here is how: Select colour, form and other options, choose printing technique and desired quantity. Done. Afterwards, we will calculate your price. Of course you can request a sample upfront to convince yourself of the quality.